Oslo is banning all private vehicles in its city centre by the year 2019. The city elected the leftist Labour Party this past September, who teamed up with the Green Party and the Socialist Left to make the change. The city will also add 60 km of bicycle lanes by the year 2019 as a bid to reduce its greenhouse gas emissions and reduce car use, which is the year of city re-elections. 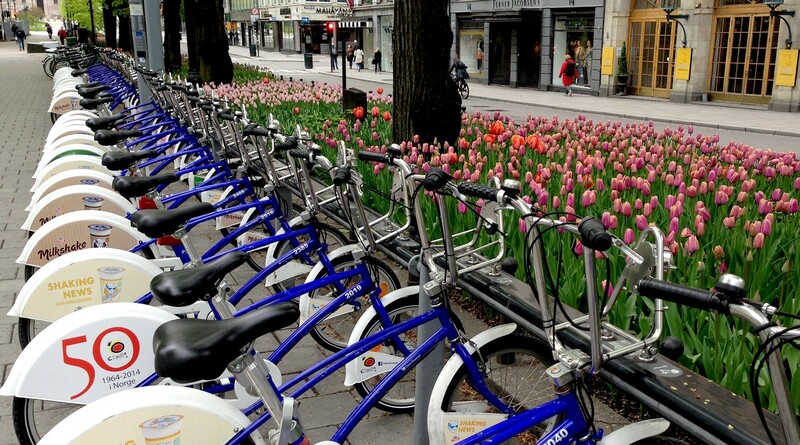 Oslo is making moves to go car-free. The city will add 60 km of bicycle lanes by the year 2019 as a bid to reduce its greenhouse gas emissions and reduce car use. Busses and trams will keep taking the people to the city centre, which has around 1,000 residents. And the 90,000 people who work in the city centre may find themselves making use of the public transportation or biking instead. Vehicles transporting disabled people and bringing food to businesses are still allowed to run in the area, the three parties said in a joint statement. To people who are less inclined to pedal or ride public transportation, the city will also subsidize the cost of an electric bike. Across the city, the Labour Party wants to see car traffic reduced 20 percent by 2019 and 30 percent by 2030. Across the city, the Labour Party wants to see car traffic reduced 20 percent by 2019 and 30 percent by 2030. Vehicles transporting food and the disabled will still be permitted to run. The city will also subsidize electric bikes. The change puts Norway that much closer to reaching its goal to lower greenhouse gas emissions 50 per cent below its 1990 levels by the year 2020. Oslo also plans to give its public transit system a “massive boost” by this time, elected officials said. “In 2030, there will still be people driving cars, but they must be zero-emissions,” Nguyen Berg said.